This morning I attended the 37th Annual Antiquarian Book & Ephemera Fair at the Armory in Albany. I have been going to this fair for the past six years with my father. To my dismay, there seemed to be fewer vendors than last year, and last year there were far fewer vendors than in years past. I sincerely hope that they are able to keep it going. I am a collector of modern fiction and poetry. Unfortunately for me, Albany is a city steeped in history and so most of the vendors you find there cater to the local history buffs and ephemera geeks (as if I’m cooler). There are always a handful of vendors, with now familiar faces, that make it worth going even if it’s just to sight-see. My father picked me up at 9:45. I woke up at 9:38. I went to bed at 3:30 or so…vertical. Sight-seeing was the last thing on my mind. By around 10:45, I could focus my vision and read titles without wanting to cry. I wasn’t planning on doing any spending due in large part to a somewhat major acquisition (wallet burner) earlier this week. 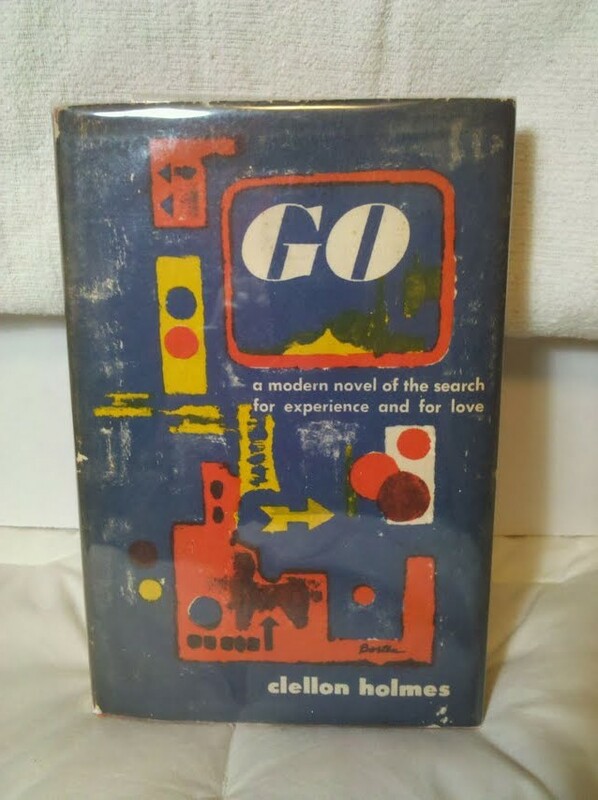 After a once-through, there was only one book that I was considering buying: a first edition first printing of John Clellon Holmes’ “Go.” I have an ever-growing library of Beat Generation literature. John Clellon Holmes was a novelist, poet and essayist friends with the New York school of the Beats: Jack Kerouac, Allen Ginsberg, William S. Burroughs, Gregory Corso, Herbert Huncke and Lucien Carr. “Go” is considered by many to be the first beat novel. It was published in 1952, five years ahead of “On the Road” by Jack Kerouac. For this reason, Kerouac, close friend of Holmes, resented him for a short period of time for stealing his limelight because Kerouac had finished “On the Road” in 1951 but could not find anyone to publish it until 1957. “Go” is titled after Neal Cassady’s (Dean Moriarty of “On the Road”) manic, benzedrined shouting during bebop shows. The first is scarce. I was going to balk because of my recent financial activity, but my father, as he too often does, agreed to act as a creditor and so we went “halvsies” on it. In retrospect, I’m glad that we did. It’s not a pristine copy, but it’s definitely very good +. We got 30% off of retail and who knows the next time that I would see a copy marked at retail + online, let alone a fairly priced copy in person. Christmas came early in Albany this year.